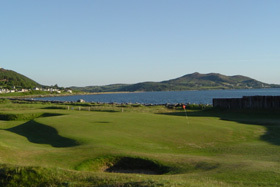 North West Golf Club is located 2km south of Buncrana on the main Derry Road along the shores of Lough Swilly. Founded in 1891 it is a Founder Member of the Golfing Union of Ireland and is the home club of Irish Internationals Brian McElhinney and Michael McGeady. It is a testing course for golfers of all categories. The views are breathtaking from every hole and this well manicured course is open all year round. Visit http://www.northwestgolfclub.com for more information. The North West Gold Club is only a short 20 minute drive from the Glen House.